It was May 1998 and I had just graduated from George Fox University in Newberg, OR with a degree in Health and Physical Education. For my graduation gift I told my parents that I really wanted a camera for a six week European trip that I was taking with some friends. Well, I got the camera, traveled to Europe, visiting over 17 countries. I shot countless rolls of film (yes, film). Before my trip I had taken the time to read my camera manual and learn all the basics on how SLR camera’s work. After my trip I developed the dozen or so rolls of film I shot and when I got my pictures back I was amazed at some of them! And then a light bulb went off in my head! I could do this as a profession! I was passionate about it. It was fun. I could make money. What better job could you possibly have? 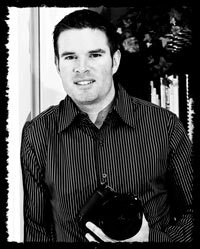 And so my journey to become a photographer began in 1999… I read some books, took a couple classes, met with other local professional photographers, read my camera manual over and over, and experimented and practiced on friends and family. With each day I grew better and better. And then I got my first “real” photo shoot. It was a small wedding in Roseburg, OR. I remember vividly sitting in the car and thinking “what am I doing? I’m going to ruin someone’s wedding pictures!”. But that didn’t happen. They were great! And so by word of mouth, my photography business began to grow. With each wedding, I was learning how to anticipate moments, capture expressions, and blend with my surroundings. My first website went live in 2003 and since then I have shot hundreds of weddings, countless senior portraits, and many other photo events. I have traveled from Hawaii to Pennsylvania, and all across the Pacific Northwest. Most of the weddings I shoot are near these Oregon cities: Portland, Salem, Eugene, Bend, Medford, Cannon Beach, Hood River…but of course traveling anywhere is always fun! I am the husband to my beautiful wife Kathleen and the dad to our four wonderful children. They, more than anything, are what I love the most. I take lots of pictures of them, play at the park, go on bike rides, serve at church, geocache, backpack in the mountains, and love woodworking. 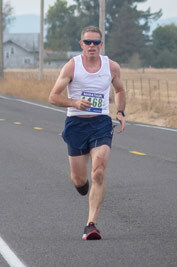 Recently, I have gotten into marathon running. 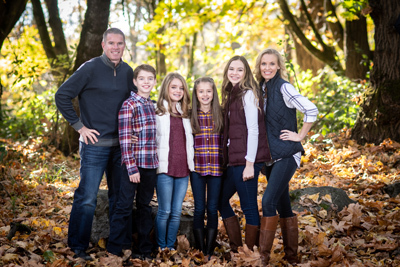 As I mentioned above, I have a master’s degree in Health & Physical Education and am currently in my 20th year teaching PE and Health; presently in Corvallis, OR. Teaching, as with photography, are both truly fun and I feel like I’ve never “worked” a day in my life. Growing up I loved soccer and have played my whole life. I play whenever I get a chance. As a senior in high school, my team won the state title and I was named 1st Team All-State. I went on and played 4 more years at George Fox University in Newberg, OR.